OFCC World Mints > Canada > Winnipeg Branch Mint. This section of Obscure Finds Numismatic Collection is about a Mint (an industrial facility which manufactures coins for currency) from the Canada region referred to as the Winnipeg Branch Mint. 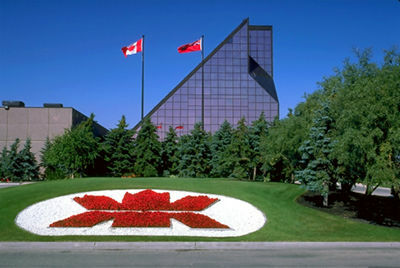 The Winnipeg Mint is our high-tech, high-volume manufacturing facility. Every single Canadian circulation coin is produced here – literally billions each year. Established in 1976, the Winnipeg plant occupies a 14,864 m2 state-of-the-art facility. Boutique - Tuesday to Saturday 9:00 a.m. to 5:00 p.m.
Tours - Tuesday to Saturday 9:00 a.m. to 4:00 p.m.